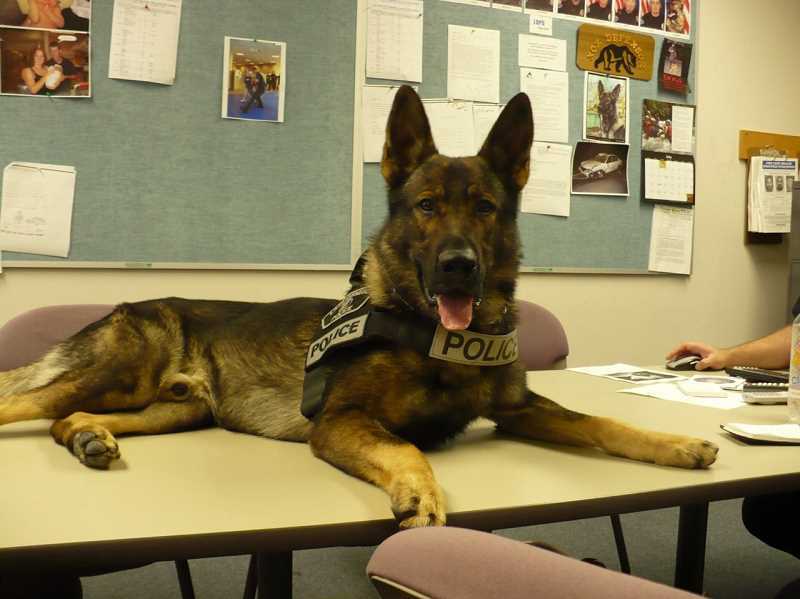 Lake Oswego Police Department is mourning the loss of Charger, a police dog who died in March. For many years, Lake Oswego Police Department detective Vaughn Bechtol saw his K-9 partner, Charger, more than his wife. The duo not only chased "bad guys" during work shifts, but also cuddled on the couch in Bechtol's living room, walked to Dutch Bros. for morning pick-me-ups — where Charger lapped up whipped cream and cookies — and attended community events side by side. And even after Charger retired, Bechtol signed the paperwork to take ownership of the dog. This March, at 12 years old and a couple years removed from a long career with the LOPD, Charger passed away. Though heartbroken, Bechtol takes solace in the good times the companions shared. "It's hard for us (K-9 handlers) to put into words the bond you have with an animal, working together with the same goals, same purpose," Bechtol says. "You can't explain it until they've held the leash. It's a really unique bond to have." Click here to read the rest of the story in the Lake Oswego Review.